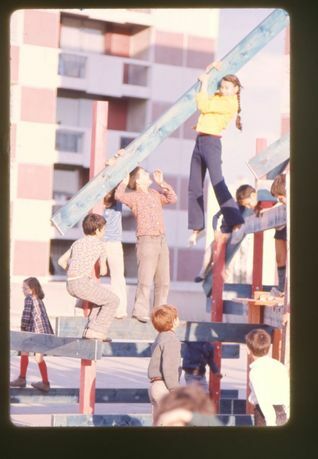 Group Ludic, playground, Rue de Boucry, 1969, Paris, France. Courtesy of Xavier de la Salle. 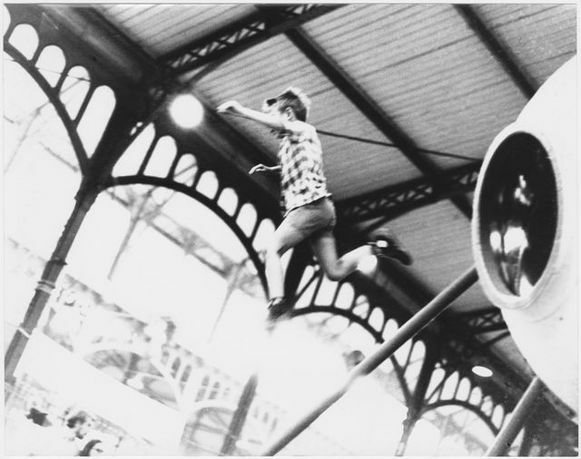 In 1967 France, artist Xavier de la Salle, architect David Roditi, and architect and filmmaker Simon Koszel formed the collective Group Ludic. 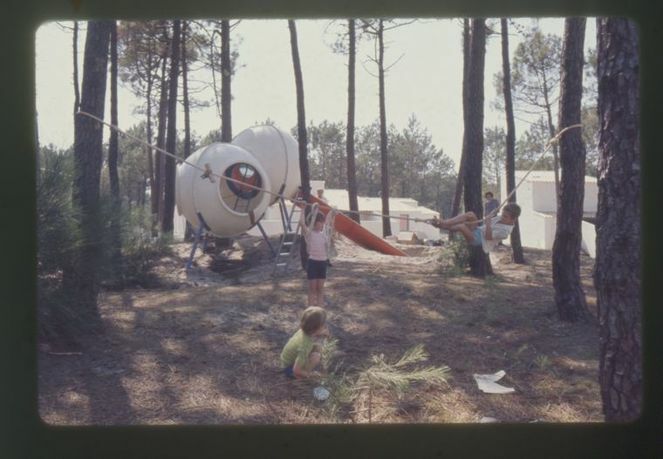 Together, they conceived and realized over 100 playgrounds, play environments, and public workshops for children in large dwellings, new towns, and family holiday resorts. 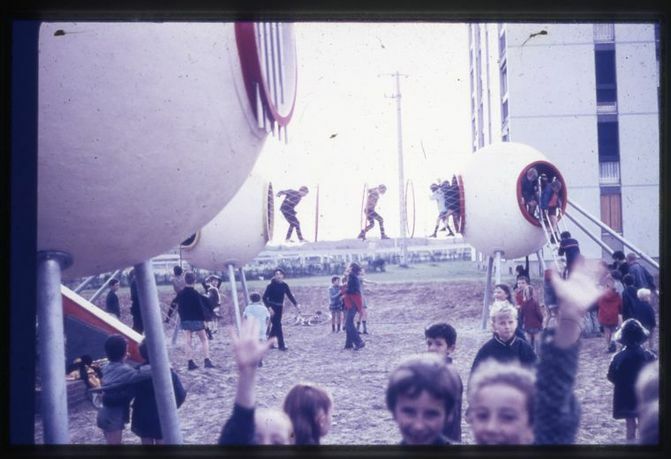 Their pioneering projects resulted from collaborating with children to find out their specific needs and desires to create places of human scale. 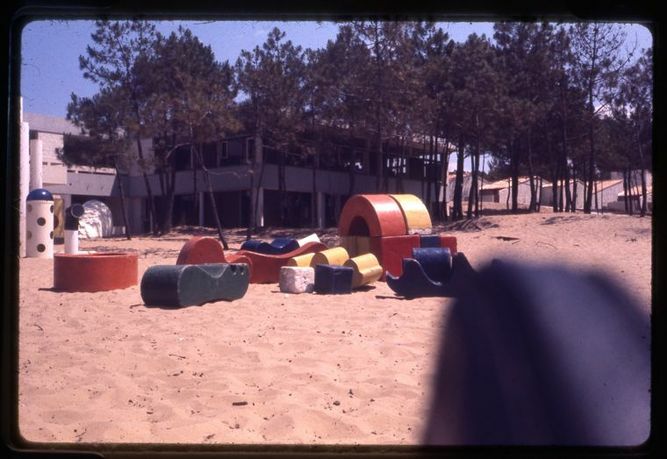 None of the projects survived, but they are extensively documented in Group Ludic's private archive. The goal is to ensure the archive's preservation, to make it accessible to the public, and to collect its oral history. 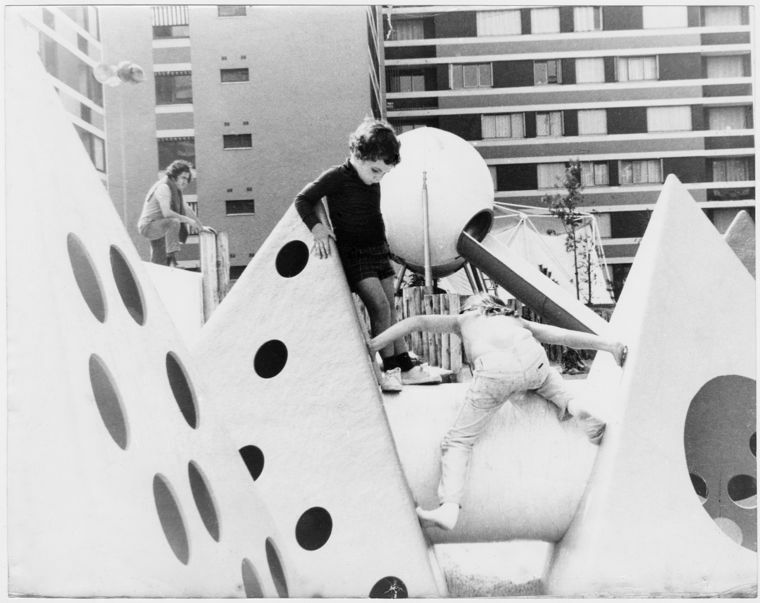 A trained political scientist and urban planner based in Basel, Switzerland, Gabriela Burkhalter was guest curator of Architektur für Kinder: Zürichs Spielplätze (Architectures for Children: Zurich's Playgrounds) at gta Exhibitions, ETH Hönggerberg, Zurich (November 6–December 10, 2014). Before that, she curated The Playground Project for the 2013 Carnegie International at Carnegie Museum of Art in Pittsburgh. 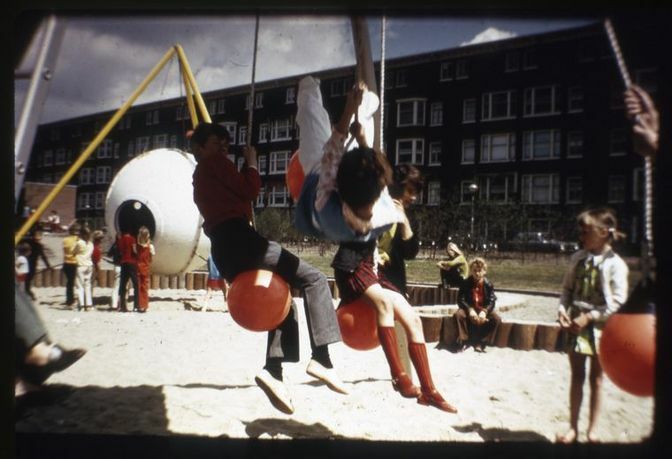 Since 2008, she has documented the history of playgrounds on www.architekturfuerkinder.ch, and her articles and reviews have appeared in magazines and catalogues. An advisor to public agencies for the renovation of (historic) playgrounds, she is also an activist engaged in the revitalization of community space.